Jump Force Roster is complete! Jotaro and Dio gameplay revealed! We are one week away from the release of Jump Force and I bring you some news. It’s up to you if you plan to buy it. Bandai Namco of Entertainment released a quick gameplay video of JoJo Bizarre Adventure’s characters in action: Jotaro and DIO. Both these characters will be using their stands Star Platinum and The World. It's all come down to this…The World Vs. Star Platinum. Watch the ALL-NEW trailer featuring Jotaro & DIO as they battle it out for the fate of their bloodlines. Apparently, revealed in a tweet, the roster is complete! Nope! The roster is complete! 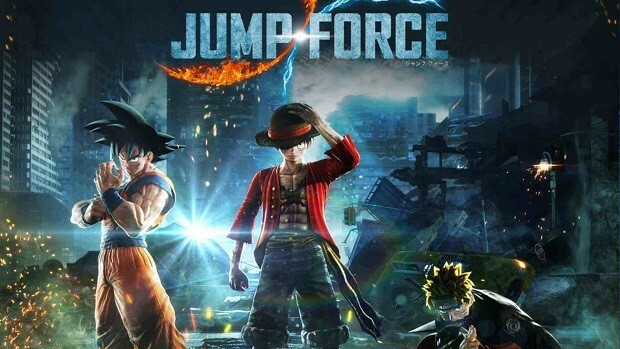 Jump Force is set to be released on February 15th for PS4, X1 and PC. There will be a season pass for this game and you can either buy it separately or buy it together in the collector’s edition.